The end of the year is a great time to look back on the year passed and re-assess where we took our lives, what we did, where we have come from… and then take a few moments in stillness to think about where we would like our paths to take us in the year ahead. Old European customs would have that this is the quiet time of year, filled with gentle music, meditative thought, and reflective appreciation of those who we hold dear. This is pure legend and folklore. My experience would have it that the pre-Christmas period is filled with an urgency to try get everything done at work that desperately needs to be taken care of, attend a million Christmas get-togethers, and racing about through crowded shopping districts. And this is my long-winded excuse for not participating in the official 10,000 Birds Best Bird of the Year 2011 round-up. But now that I have a bit of time off this week, I am getting around to reassessing 2011, and there is one birding moment that stands out and for which I am very much grateful. It was one of those moments that really just gob-smacked me: I just really had not expected the Racket-tailed Treepie (Crypsirina temia) to be anywhere near that beautiful. My guide book depicted them as rather drab black birds and I had assumed that they would be somewhat iridescent, but I really did not expect the diversity of wowness that this bird presented. The beautiful eye, jet-black plumage, an even darker facial mask and a great big long tail. What is there not to love about the Racket-tailed Treepie? 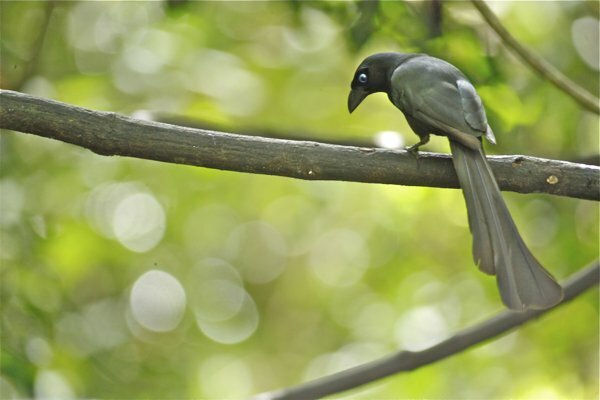 The Racket-tailed Treepie was not the rarest bird I saw in 2011. It quite possibly was not the prettiest bird I saw in 2011. But the timing, the unexpected 1minute before midnight out-of-the-blueness of it, and its stunning beauty all combined to take my breath away. I am deeply grateful for the beauty 2011 shared with me, and may 2012 bring all of you moments of wowness and grandeur. Great post Dale and what stunning photos of a cool bird! 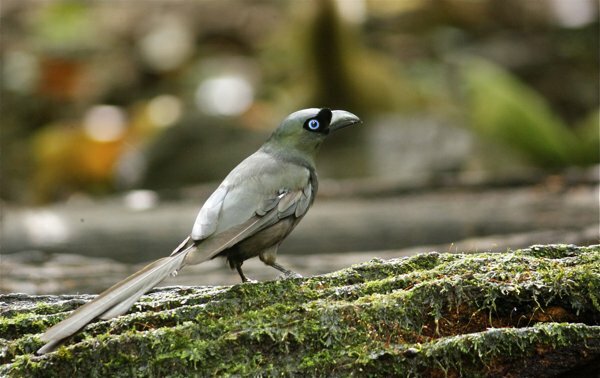 Whilst you were birding at Kaeng Krachan, did you also manage to see Ratchet-tailed Treepie? Unfortunately I only had one day in the reserve and I spent it all in the hide, such are the downsides of combining a family holiday and birding side trips, but next time I am in Thailand I really want to go after the ratchet trail!